The Court of Appeal is the second most senior court in the English legal system. Its criminal division hears appeals against conviction and sentence from the Crown Court. It is not one physical court. It sits in up to 12 courts in the Royal Courts of Justice in the Strand in London. But it can sit elsewhere. There are 38 permanent judges who sit in the Court of Appeal. They are known as Lord or Lady Justices of Appeal. There were three judges sitting today. Lord Thomas, the Lord Chief Justice of England and Wales (pictured), is head of the judiciary and head of the criminal division of the Court of Appeal Mr Justice MacDuff and Mr Justice Flaux are High Court judges. 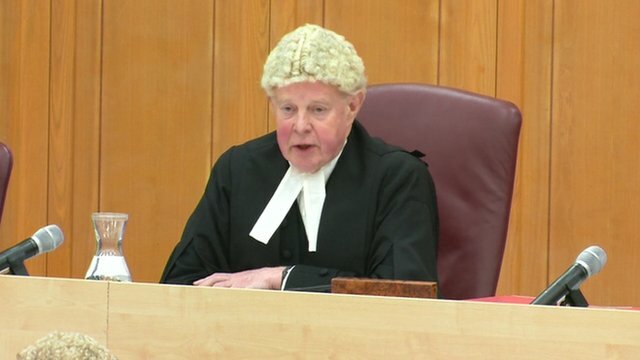 Lord Thomas dismissed Mairead Philpott&apos;s appeal, saying the trial judge was right in her assessment of the case and that the 17-year sentence could not be criticised. Today&apos;s hearing was what is known as a renewed application by Mairead Philpott, who was seeking to appeal her sentence for the manslaughter of six children following a trial at Nottingham Crown Court in April. This means that an application to appeal has been considered by a single judge, who acts as a filtering system for the full Court of Appeal, and has been rejected. Mairead Philpott exercised her right to renew her application in front of the whole court - but it was dismissed. 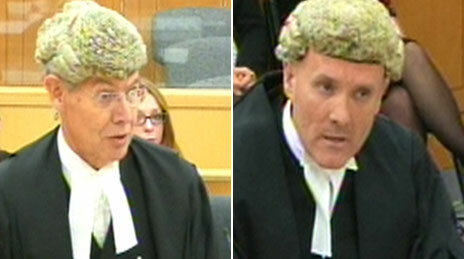 Mairead Philpott was not in court on Friday - which is not unusual for these sorts of hearings. For an appeal against sentence to succeed, the Court of Appeal must be satisfied that the sentence is excessive. That means it must be satisfied that the sentence passed was outside the appropriate range for the offence and the offender in the particular case. It is not enough that it was more than the Court of Appeal itself would have passed. Shaun Smith QC (right), counsel for Mairead Philpott, argued that she had not been strong enough to stand up to her husband, Mick Philpott. Richard Latham QC, for the prosecution, said she was very much part of a plan hatched over a period of time. A mother who was convicted of killing her six children in a house fire in Derby has had an appeal against her sentence rejected. Mairead Philpott, who was handed a 17-year sentence for manslaughter last year, had her appeal televised from Nottingham Crown Court. Paul Mosley, who received the same sentence for the children's deaths, withdrew his appeal. Mick Philpott, the victims' father, has not appealed against his life sentence. Court of Appeal judges dismissed a renewed application by Mairead Philpott to challenge the length of her jail term. The most common ground for appealing a sentence to the Criminal Division of the Court of Appeal is that it is "manifestly excessive". That means the court must be satisfied that the sentence passed was outside the appropriate range of sentences available for the sentencing judge in respect of the offence and the offender in the particular case. Although it is important for public confidence there is consistency in sentencing, judges who pass sentence at the crown court are entitled to use their discretion. They will consider the particular case and any sentencing guidelines, but it is only if they stray outside a reasonable range of sentences that an appeal can succeed. The Appeal Court judges will have considered written grounds of appeal before the hearing, a written response from the Crown, and the remarks of the sentencing judge. Winning a sentencing appeal can be an uphill task, but sentencing judges do make mistakes, and the appeal process is a vital safeguard in ensuring that sentences are fair and appropriate. Lord Chief Justice Sir John Thomas said: "We have after examination of the circumstances and careful consideration of the judge's remarks come to the conclusion without any hesitation that this appeal must be dismissed. "There is no doubt at all that she [Mairead Philpott] was a loving and caring parent. She brought up the children well. There was no doubt she had genuine grief at the loss of her children." But he added that it was "extremely difficult" to understand why she did not "expose Michael Philpott's lie" during the trial and the extensive period when she was separated from his "controlling influence". "She will always be seen, as Mr Smith [her barrister] put it, as a child killer. She will never be allowed children or contact with children," Lord Thomas said. 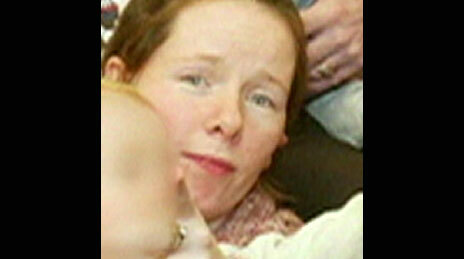 Speaking outside court, Mairead Philpott's sister Jennifer Duffy said: "She should have been given life. "She should have spoken up for her children but she decided not to." Filming at the Court of Appeal was allowed for the first time last month following a partial lifting of the long-standing ban on cameras in court. Courts minister Shailesh Vara said giving people the opportunity to see and hear the decision of judges sitting in Nottingham was a "significant step towards achieving our aim of having an open and transparent justice system". "Justice must be seen to be done and today marks another important step towards opening up the court process to bring justice closer to the public," he added. Media captionLord Chief Justice Sir John Thomas handed down the ruling. Mairead Philpott's first appeal, along with Paul Mosley's, was rejected in July. The reasons for this were not made public. Earlier this year, Mairead's legal team said an appeal would be made on the grounds her role was "not as substantial as the trial judge had assessed". Philpott, her husband Mick and family friend Mosley were convicted of manslaughter for the fire at Victory Road, Derby, in May 2012. Jade Philpott, 10, and brothers John, nine, Jack, seven, Jesse, six, and Jayden, five, died in the blaze. Duwayne Philpott, who was 13, died three days later in hospital.